» Are You Living Your Dream Life? Did you ever have one of those delicious mornings where for a moment everything was right? The birds singing, butterflies floating above, dancing in a perfect swirl, and you’re smiling on the inside and the outside all at the same time. Yep, today I set out for a long walk with Southern Grace knowing the skies were threatening to unload buckets of water, but I plunged forward anyway. And it was magnificent. Yes, it started to rain, at first just a soft mist brushing against my face then moved into a steady drizzle and by the time I was blocks from returning home the heavens opened and I was soaked. I’m living my dream. I’m doing what feels right to me. I’m not looking for approval, acceptance, or anything else for that matter. How did you get there you might ask? I went through the tough stuff, as we all do—and it shaped me into the woman I am today. I went through many seasons in life that were darn challenging but at the end of the day (sorry for the cliché!!) I found my authentic self. We can find ourselves in the ordinary—like a simple morning walk embracing all that is around us. We don’t need to seek the spectacular as it will come when it’s ready to appear. Often we question if we are good enough for whatever our dream life might be and somehow talk ourselves out of believing we can accomplish our pie in the sky because we listen to all the doubting Thomas’s out there. Listen to your own inner whisper and take the plunge. Since I was a little girl I knew I would write books. I didn’t know how but I knew I would. I used to write on one of the old fashion typewriters banging out my little stories feeling such delight with each Once Upon a Time…followed by The End. And then somehow life got the best of me and I went to college, graduate school and then a doctoral program to learn about the mind. I wanted to know why we do what we do, especially with regards to addiction as I was struggling with a food addiction throughout my teens and young adult life. And so…my dream began to appear, slowly and steadily, first in my own recovery, then my private practice helping others find the same recovery. In time I added teaching at DeVry university, courses such as psychology, along with a host of classes including a Capstone course, and then as luck would have it, back-tracked to writing books…my original childhood castle in the sky. Yes, I’m living the dream. Not long ago I was reading one of my favorite writers blog, Joanna Penn, who writes non-fiction (my favorite!) and thrillers (too scary for chicken me!) and a weekly podcast. I came across one of her blogs entitled: The 8 Fears That Hold Writers Back. Though the blog post was written for writers, I found her powerful steps applied to any areas in a person’s life that hold them back. For instance, often we compare ourselves to others fearing we are not good enough in whatever our dream-life might be—writing or otherwise. Or I never finish anything. You do finish lots of things. 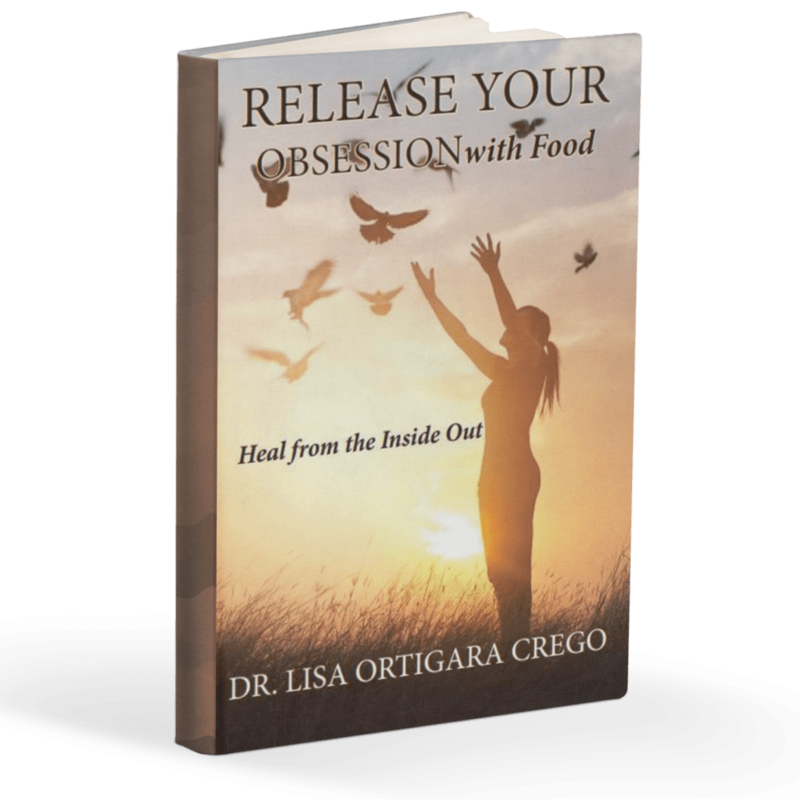 Don’t get stuck in the mind chatter, which I talk about in my second book: Release Your Obsession with Diet Chatter: Heal from the Inside Out. Our mind can come up with all kinds of excuses, none of which are even true. Reading on with Joann’s 8 fears, I was able to plug in one step after the other to how we humans convince ourselves we can’t do this or that. If you click on her article you can easily find her 8 steps fit wherever you might be stuck, just plug it into your situation. And who knows once you connect with Joanna you might find yourself writing books too! Last night I was sitting on my outside swing reading, It’s Not Supposed to be This Way: Finding Unexpected Strength When Disappointments Leave You Shattered, a book I got as a gift from my eldest son this past Christmas, by Lysa Terkeurst, and found it filled with golden treasures. One of my favorite lines in her book: “Even the most grounded people can feel hijacked by the winds of unpredictable change,” rang loud and true. Life is filled with the unexpected, with roads that twist and turn and sometimes big cliffs waiting at the end. But, I read somewhere, good always comes out of bad, and I find this to be true. I say dream…and dream big. Don’t let anyone or anything stop you from living your best life. Don’t measure your success by your preconceived idea of others accomplishments. Write out your dream life in a journal, where to start and where it will take you. Believe it’s possible and it will slowly become so. Keep it realistic. And keep it your dream, not what you think someone else thinks your dream is. I remember a student once said in a Critical Thinking class that his dream was to own an island, be a millionaire…and that this was going to happen. Okay, maybe. But first, he needed a skill to secure a job, which then would lead to earning money and then the rest of his plan could sprout in time—so can yours. Are you living your dream-life? Did you ever have one of those delicious mornings where for a moment everything was right? Where the birds chirped out melodies that made your heart warm and golden butterflies danced overhead? How about smiling on the inside and the outside all at the same time? Let me know your dreams. I love hearing from you. Previous Post Is it Inevitable Adults Gain Weight? Next Post Does Stress Cause You to Binge-Eat?